Kentucky Wildcats basketball player Derek Willis was arrested for public intoxication last weekend, according to WCPO, which got the dashcam video. Police arrived at the scene and found the 20-year-old passed out next to his car on the side of the road. The Boone County Sheriff’s Office took Willis in early Saturday morning in Union, Ky. 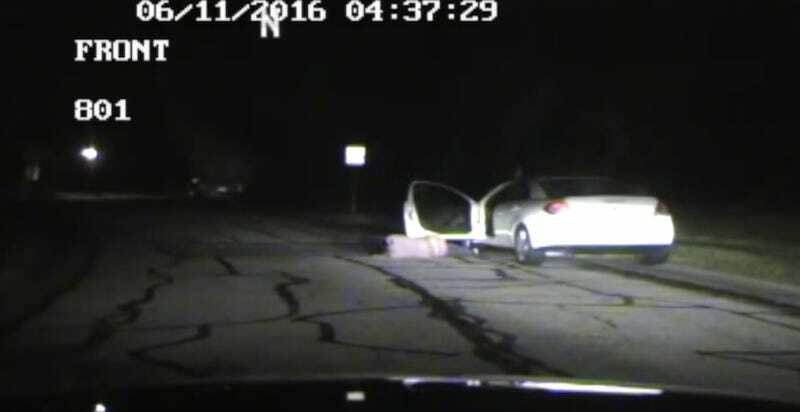 In the video, police wake up Willis, place him in cuffs, and walk him to the car. Willis was reportedly released after paying a $50 bond.